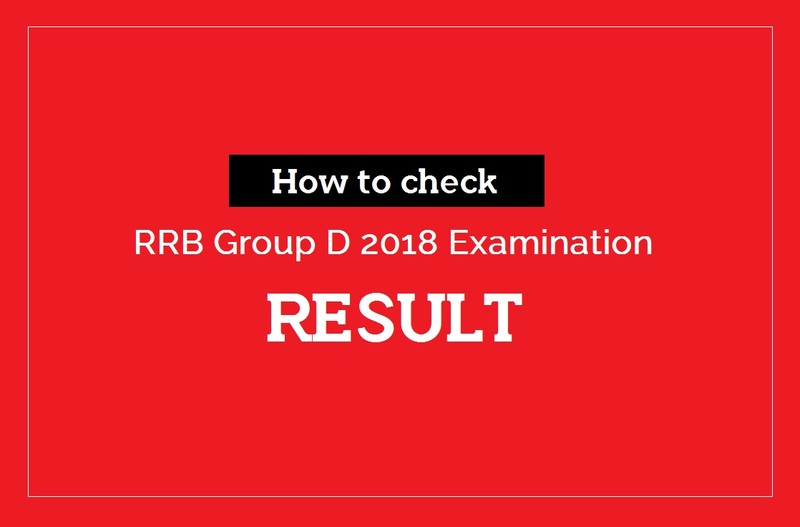 The results for RRB Group D 2018 examination are to be announced next week. It was on September 17 RRB started its group D examinations of 2018. The examination held for four months and ended on December 17, 2018. The examinations were held to fill out the available 62000 vacancies. It is estimated that totally about 1.8 crores of candidates appeared for these examinations. The results will be published through the corresponding regional websites of Railway Recruitment Board. There are altogether 21 regional zones for RRB. The candidates can know their results by visiting the corresponding region they belong to. Below is the list of all regional websites of RRB provided. RRB conducted the Group examination in 2018 for filling the 62, 907 it had across various regions. The examinations were held for four months starting from September 17 to December 17, 2018. It is the results of CBT (Computer Based Test) examinations, that RRB is publishing now. Those who are qualified will be called for Physical Efficiency Test (PET). The dates of PET tests for all regions will be announced soon. The candidates coming in the first 125814 ranks will be called for PET. i.e the number of candidates equal to twice the number of vacancies. Once the PET is over for those 125814 candidates, then the qualified candidates will be called for document verification. Step 2: There you will find a “Results Declared” text link. Step 5: If you find your roll number in the list, then you are qualified for PET. Step 6: Now you can check the scorecard link in the regional website to know your marks. For that click on the “Scorecard” link in the website. Step 7: You are now directed to a page where you will be asked your User id and User password (User password is actually your birth date). Fill in both user id and date of birth, and Click on “Login” button. You can now view your scorecard.